Joe and I flew from Oahu to Molokai for a few days to explore an island that was new to both of us. 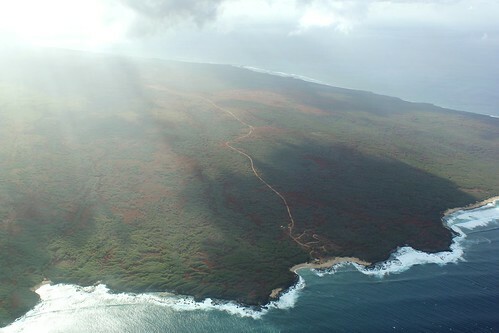 Molokai is very small, and quiet. We found beaches free of crowds, and slept in our tent on the sand underneath the most beautiful night skies, and saw shooting stars every evening. There are only a handful of restaurants on the whole island, so I was a little nervous about finding vegetarian options. But luckily, even with limited options, I was able to find a couple veggie burgers! 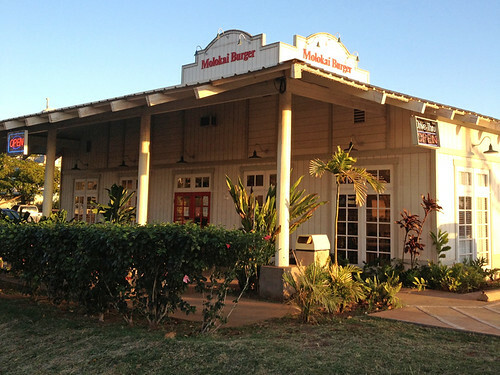 Molokai Burger seemed to be one of the more popular restaurants – and it seemed like the closest thing to a fast-food chain restaurant on an island that has no chain restaurants. The toppings included shredded lettuce, fresh tomato, and some kind of tangy sauce. Not bad, just not particularly exciting either. 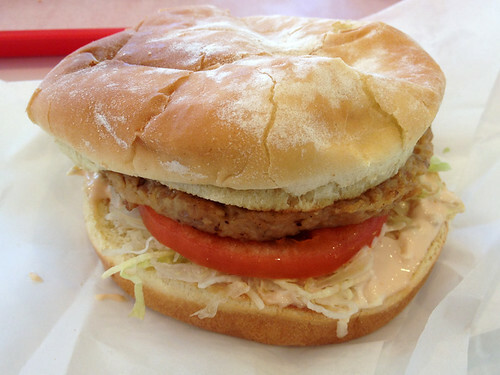 The bun was the best part – soft and tasty like it was from a bakery rather than a fast-food place. All in all, not the most amazing veggie burger ever, but I was just happy to find something vegetarian for dinner - and it was not a bad meal to end a long day with, before we returned to our campsite on the beach. 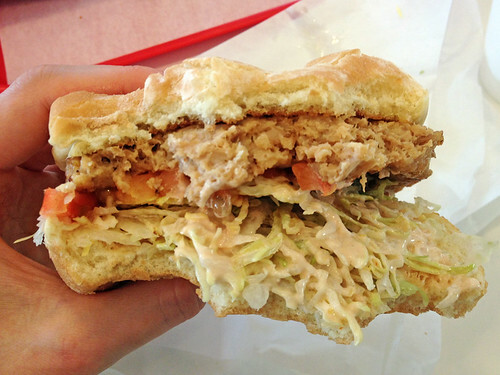 Some of the Boca chicken patties are vegan, and even though I'm not crazy about their regular burger patties, I kinda love the chicken patty. It seems really meaty.